Hawaii has some of the most beautiful hiking trails in the world. It is a land of beaches, volcanoes, waterfalls, and bamboo forests waiting to be discovered with many plant and animal species that are unique to the island. From challenging uphill hikes to short scenic trails on level ground, the Hawaiian outdoors can be enjoyed by every type of traveler. 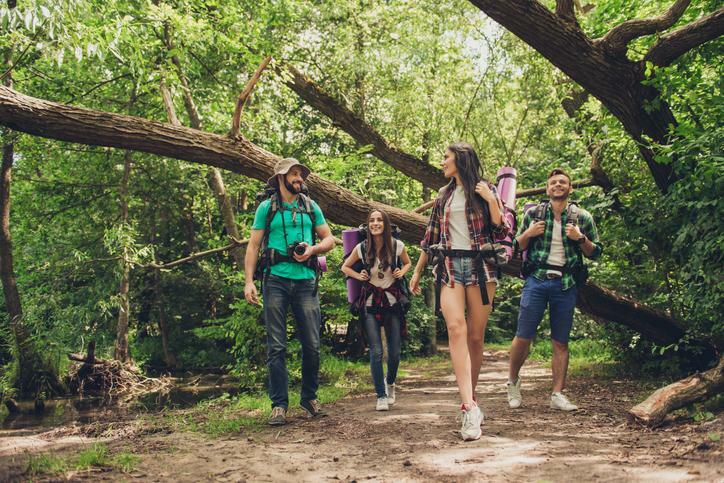 No matter what your level of hiking expertise, there are a few basic precautions you should take before you begin your adventure. If you follow these 4 basic hiking tips, you will be a happy hiker! Perhaps the most popular place in Hawaii to hike is Hawaii Volcanoes National Park. There are more than 150 miles of trails in this park alone waiting to be explored. The nice thing about this area is it's a mesh of both easy hikes that children can do to more challenging ones that require some experience and gear.